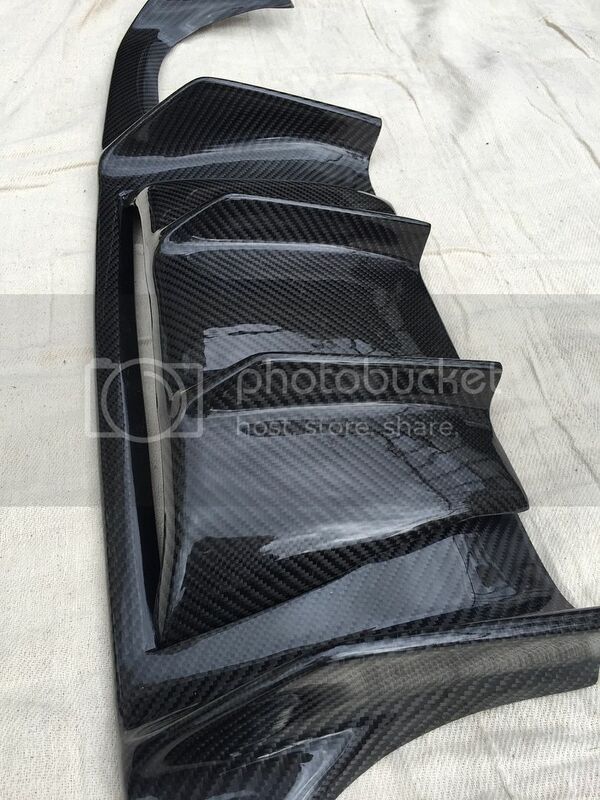 Hi, Has anyone bought and tried to fit a Rexpeed carbon fibre rear valence cover? I bought one quite some time ago and have only recently tried to fit it. I've been told that it bonds directly to the existing valence which requires removing from the rear bumper first to bond the two together but after offering them up the rexpeed doesn't line up to bond them together. Anyone shine some light? The thing is it's a beautiful peice of kit. Wow, that looks awesome. I can just picture it sitting there with quad tips pushing through. I hope you sort it out so you can post some pics. Hi, yes I think it is designed to work with quads and actually replace the existing valence. I'm looking at doing a quad conversion using the existing tailpipes and matching ones at the other side as I like the look of the original "chunky' tailpipes. It's designed to replace the existing valance - The actual valance itself is bonded using 2 separate parts but it bolts onto the rear bumper. Hi, yes I thought so have you fitted one? Looks like it may also need some adaption to the brackets for the lower light unit as the holes are quite big, a couple of rubber bushes should do the job. I haven't fitted one personally, but I know someone who has and they had to use some rubber washers as the holes were too big for standard screw heads. It does fit as I have sold over 30 of these and with no problems installing it. Yes some have had similar challenges as you are facing, but none have never been able to install it. The factory unit fits to the Rexpeed, it may not be a perfect fit, but it does install this way using glue and maybe screws. 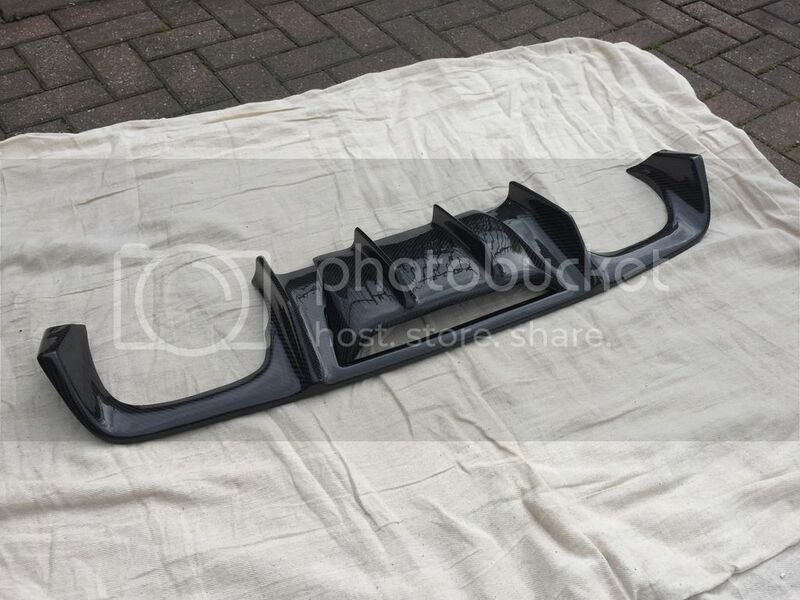 Once attached together then you can re-install the rear valance on to the car. You may have to do some adjustments here as well including the attachment of the reverse/fog light assembly. As with most after-market body parts, they are made using one car and might need minor adjustments to be used on other ones, and nothing is going to be as easy as you would hope. Not questioning your ability, but some have taken the Rexpeed to a body shop for installation as they have the tools and items needed to fit anything. Once installed you will be very pleased with the result! Hi Steve, theres no way the rexpeed fits over the factory part I've tried it they don't match up at all. it actually replaces the original one and thus is designed to be used with an aftermarket exhaust as the original tailpipes clip to the factory cover. so I've put the install on the back burner until i sort a quad system.